An example of what appears to be a copper engraving of late impression showing signs of wear. Shading and details in some areas appear inconsistent with the engraving technique and may be etched or stippled in some manner. This may indicate that the piece was created by more that one method as was common for this period. 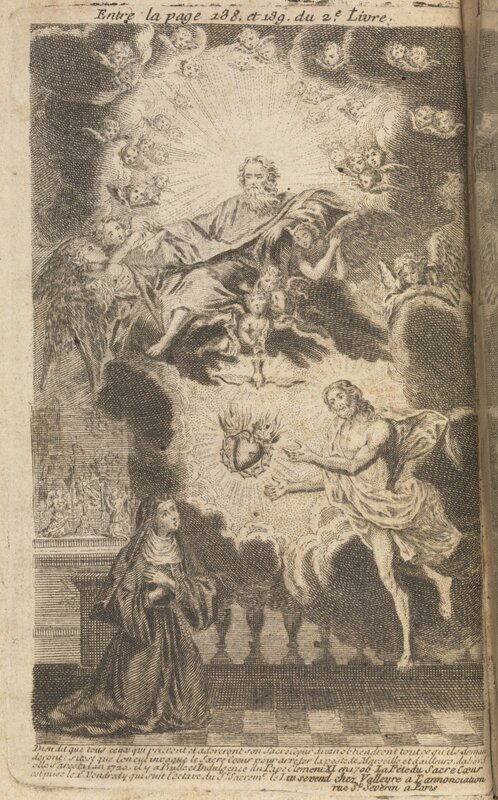 The image is the frontispiece from the book Instructions pratiques et prieres pour la devotion au sacre´ cœur de Jesus l'office vespres et messe de cette devotion.